LMS Motors Ltd - Garage/Vehicle Services based in Oxford, Oxfordshire. 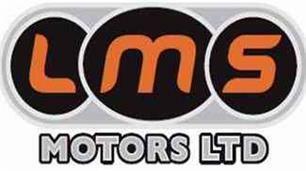 Welcome to LMS Motors Ltd in Oxford. As well as being members of Checkatrade.com, we are also members of the Good Garage Scheme which finds reputable independent workshops and MOT centres in your area. We pride ourselves on working with honesty and integrity to give you quality workmanship and value for money. All of our mechanics are fully trained and have many years’ experience with all types of vehicle so we can offer services or repairs on any make or model. Engine diagnostics are crucial parts of servicing a modern car so if your warning light is on, don’t hesitate on bringing it in to us. We also undertake welding and minor body repair jobs. If your car has failed an MOT due to blown exhausts, holes in the sills or other minor issues we can easily take care of this at a fraction of the cost of replacing the parts. We have full facilities for fitting tyres, exhausts, suspension or anything relating to your vehicle. If you have a problem or concern, pop in or give us a call on 01865 724963 or pop in and we’ll do our best to rectify the fault as quickly as possible.